Take a look around the church. Who is leading? From where I sit within the provincial organization, nearly everyone in a significant position within an agency or institution share one common life experience… they went to camp. For those of us in the Southern Province of the Moravian Church, that means Laurel Ridge. In fact, many of us actually worked on the M-Staff, where as summer staffers we played guitar, guarded swimmers, led activities, and cleaned lots of bathrooms. If not M-Staff, many leaders once served as counselors or visited Laurel Ridge as a camper. Others served on the Regional Youth Council (RYC), a youth organization made up of representatives from each congregation. Above: Ruth Cole Burcaw and Butch Sawtelle at Laurel Ridge, during their time on staff (circa 1987). Butch has gone on to provide leadership in his local congregation, on the Mission Society board, and at Laurel Ridge. Ruth serves in provincial leadership. I know that my own Moravian leadership journey began with my service on RYC, where I served as president while in high school. I worked on M-Staff during my college years in the summers of 1985, 1986, and 1987. And while there were several intermittent years where I focused on raising my family, I never left the church. I served in leadership in a variety of ways in my local congregations. 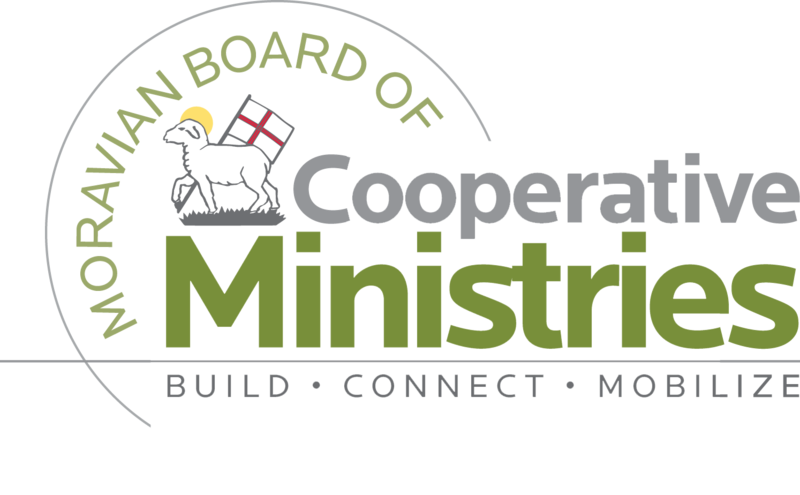 In my early 40s, I became more involved at the provincial level and was elected to the Board of Christian Education, one of the predecessor boards to the agency I currently serve as Executive Director–the Board of Cooperative Ministries. Why am I a leader in the Moravian Church? Is it because I’m a preacher’s daughter who grew up with the church hard-wired into my DNA? Is it because I’m a somewhat ambitious, overachieving first-born child? Or is it my natural bossiness, my “take-charge” personality? Or that my parents raised me to believe I could do anything I put my mind to and worked hard to accomplish? Circumstance, birth order, personality, nurture. Surely these all play a role, but ultimately, I believe I am where I am today for two primary reasons: 1) my leadership capability emerged from my lived experience as a young Moravian, and 2) I had mentors who believed in me and encouraged me to use my giftedness so I might strive to become all that God created me to be. Let’s be honest: the Moravian Church is small. If we count our brothers and sisters around the world, we are talking about just over a million people. Put us up next to the Catholics (70 million in the US alone), the Southern Baptists (15 million), or even our newest ecumenical partners, the Methodists (12 million), and the less than 40,000 members in North America seem rather insignificant. Do the math. Given our small numbers, our capacity to produce transformative leaders is also small. But I’m hopeful. Our church is full of Jesus-loving, faith-living, justice-seeking men and women who model the way for our young adults and children. When I think about the amazing Moravians who inspired and encouraged me throughout my life, including a few who are now pastors, professors, and even bishops, I know that we absolutely can empower and build a new generation of Moravian leaders. Above: Butch’s daughter, Kathleen Sawtelle, is part of the 2018 Laurel Ridge M-Staff (her brother Michael is facilities director there). Ruth’s son, Jake Burcaw, is interning at camp and is believed to be Laurel Ridge’s first 3rd generation staffer. Jake’s grandfather, the late Hal Cole, was one of the first staffers (M-Boys) to work at Laurel Ridge, cutting trails with Bishop George Higgins. He served as a Moravian pastor for over 40 years. If we desire future generations to carry on and reimagine our Moravian heritage in the coming years, we must work intentionally to develop the Moravian leaders who will emerge from our congregations and our unique programs and ministries. Who are the emerging leaders in your congregation? Who can you support, encourage, and mentor? What you do and say matters – be a mentor to someone in your church or at camp. Encourage them. Listen. Invite them to participate, to lead. Create opportunities. Affirm their innovation and their call. Provide them with a lived experience that they can use for the rest of their life to follow Jesus in serving the world. 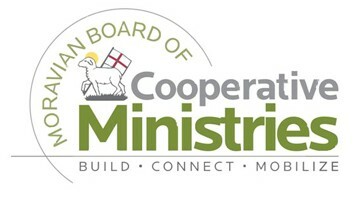 Ruth Cole Burcaw is the Executive Director of the Board of Cooperative Ministries for the Moravian Church, Southern Province and a member of Unity Moravian Church. She’s pictured above with her father, the Rev. Dr. Hal Cole. Freifeld, Lorri. “Leadership Incubator Lessons.” Training Magazine, Lakewood Media Group, LLC, 22 Oct. 2013, trainingmag.com/content/leadership-incubator-lessons/. Nelson, Gary Vincent. Leading in Disorienting Times: Navigating Church & Organizational Change. TCPBooks, 2015.